Modern Times Hotel is ideally located in Vaud Riviera, near the center of Vevey and next to motorway exits A9 and A12. Just arrived at Vevey or Lausanne train station and looking for someone to drive you in comfort to the hotel? 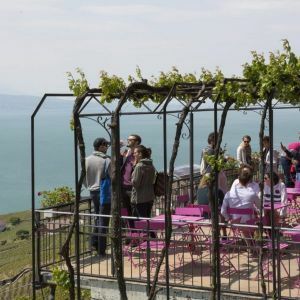 After arriving by train in Vevey, take the regional train, direction St-Légier/Blonay, and get off at « Château-d’Hauteville » which is 80 meters walking distance from the hotel. Arriving from Lausanne on the A9 motorway or from Bern on the A12, take the « Vevey » exit and follow the sign « Vevey ». You will see the hotel on the first roundabout.